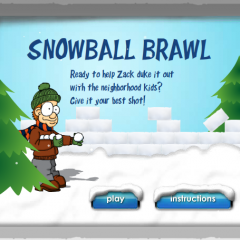 Nice little flash game I developed using ActionScript 2.0 for a youth marketing panel during the holiday season. Throw Snowballs at the kids on the other side of the ice-wall. See how many you can hit within a certain time-frame.